Julie you changed your blog setup !!! Love the idea to keep the eggs whole. love it. I bet this is lipsmacking...looks so good and nice pics! Yummy yumm...I lov this..with soya sauce never tried..need to experiment and see..superb..
perfect combination of pepper and egg...looks so yummy..
looks yummy, spicy and tempting, dear...slurp!!!!!!! Interesting recipe with eggs....I am sure it is delicious!! Julie, This looks so perfect to eat with Appam. Liked the colour of your roast. Yummy and inviting recipe especially for pepper lovers like me ! I so agree with you the dilemma of what to cook !! 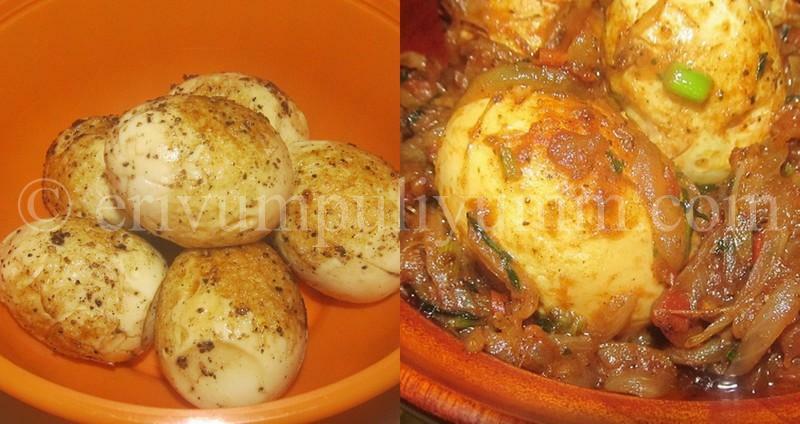 Loved your egg pepper roast..a nice twist to an otherwise simple recipe. 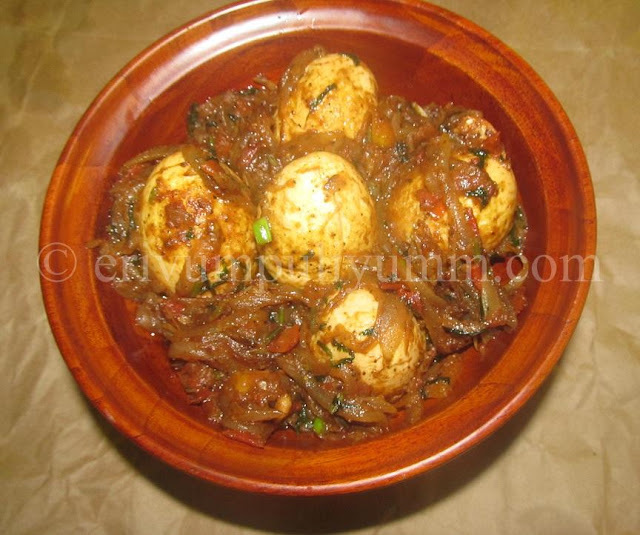 wow.. i love spicy food.. tempting..
mmmm..... peppery egg roast.... mouth watering.. 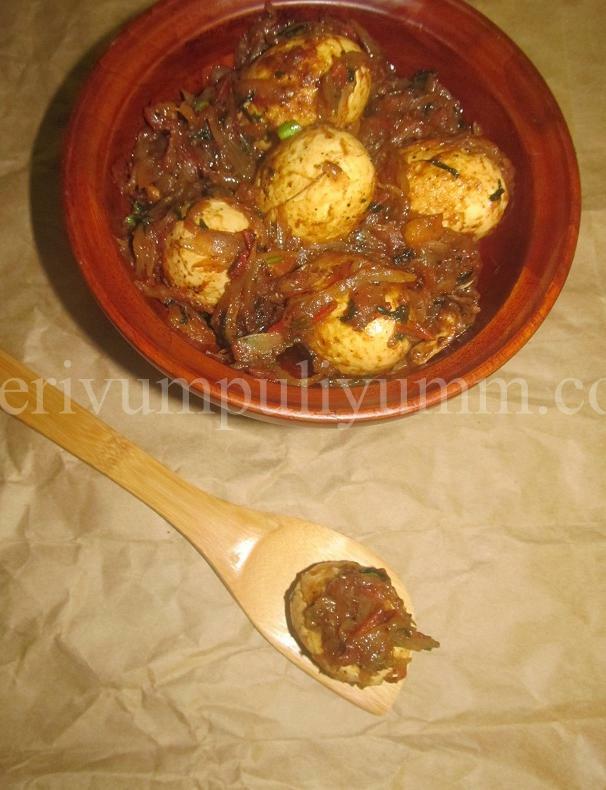 Hot and super spicy egg roast,mouthwatering here. This looks delicious! I love egg in savoury dishes! Yummy! 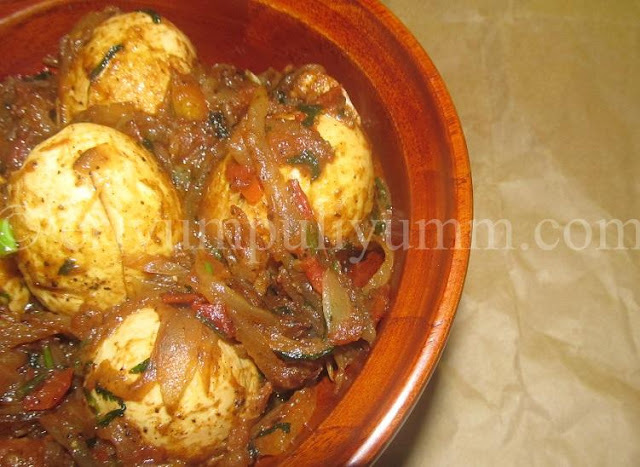 egg curry looks delicious Julie. I don't know how I missed this. Egg roast is my hub's favorite food group ;)) So I am always on the lookout for a yum new recipe. Thanks Julie !